Beijing is a major air-hub and many airlines stop by Beijing's Beijing International Airport. The easiest way is to take a taxi from the airport to Tsinghua University. Any taxi driver will know where it is. It should cost around RMB￥100 (about US$15). Taxis accept Chinese RMB ONLY. So please change some local currencies before coming to China. In addition, you can also take the Airport Shuttle. It may cost about RMB ￥20 (about US$3). You can take Line 5 Shuttle, and get down at the end station "Baofusi (保福寺桥)", which is near to the East Gate of Tsinghua University. The details can be found here. You can download and print those guide card. The details are on this web. 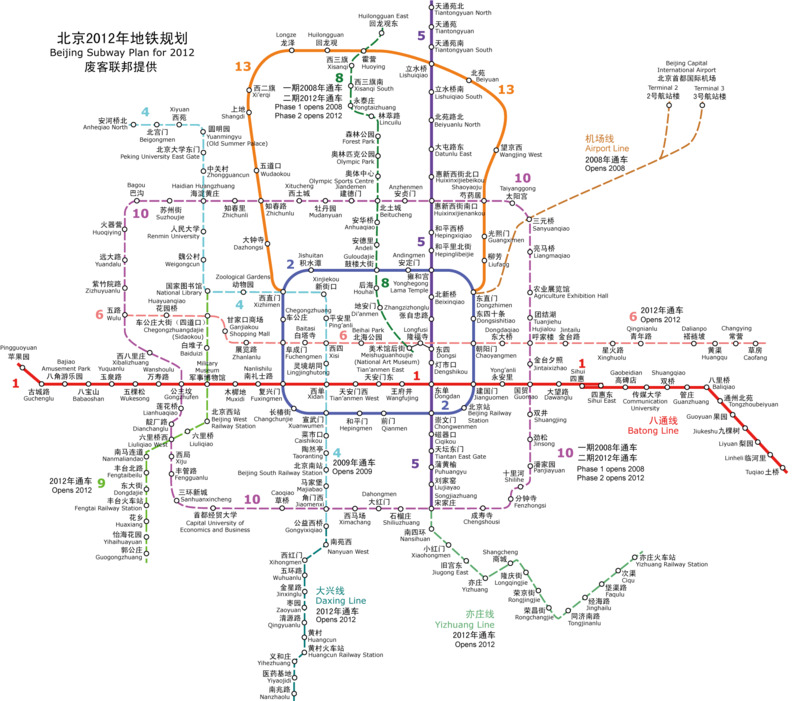 Subway: There are 5 subway lines in Beijing: Line 1, Line 2, Line 4, Line 8, Line 10, Line 13. Other lines may open later. Please see the map. The cost is very cheap, RMB 2 (about $0.3). Bus: The bus are also convinieant. You can take many lines near Tsinghua University, please see the details here. All bus lines in Beijing can be found here.